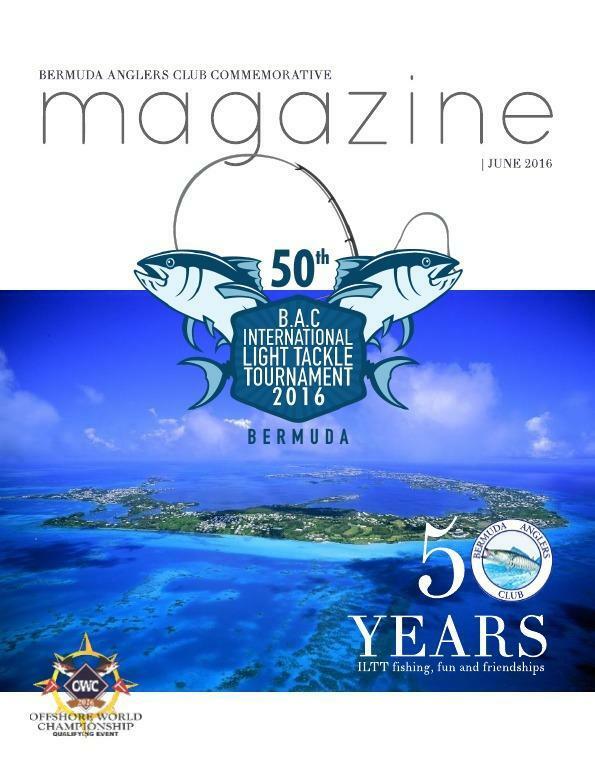 As we extend a warm Bermuda welcome to the participants and guests of the highly anticipated 50th International Light Tackle Tournament this week we are also proud to launch and share the Bermuda Anglers Club ILTT 50 commemorative magazine. Many of you have fished this tournament over a number years and this is testimony to the incredible bond of friendship between our local and visiting participants and to the warm hospitality that is a hallmark of our beautiful islands. The Bermuda Anglers Club, the island's oldest fishing club, are once again hosting a week of events and tremendous sport fishing opportunities in the remarkable fishing grounds offshore Bermuda. It is our sincere wish the 50th rendition of the tournament will be as memorable, rewarding and as sporting as ever.